River rafting in India is one of the most popular adventure sports in the country. There are several places in the north of India such as in Uttarakhand, Jammu and Kashmir, Ladakh and Sikkim that are great for water rafting. The rivers here are fed by melting snow from the mighty Himalayas and this, coupled with breath-taking views of mountains on either side, makes the rafting experience in India some of the most enjoyable in the world. In central and south India, adventure enthusiasts head to Maharashtra, Karnataka and Coorg for white water rafting or river rafting in India. 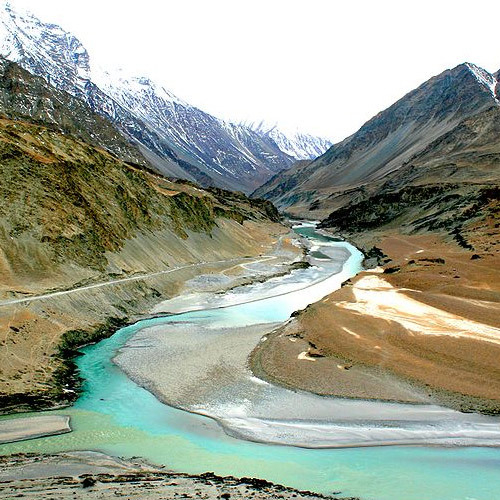 Uttarakhand in North India is home to numerous mountain-fed rivers which are ideal for river rafting. 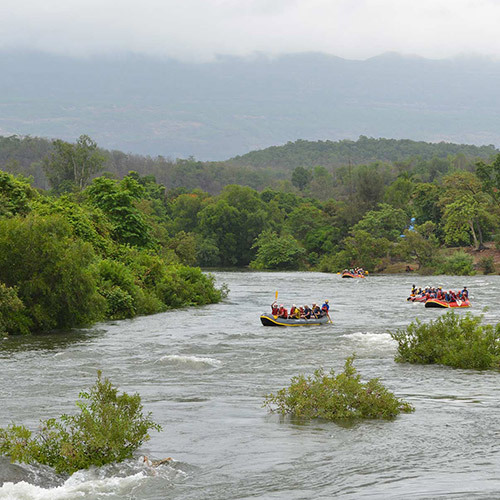 Most of the rivers here are fast paced, making it exciting for river rafting lovers. 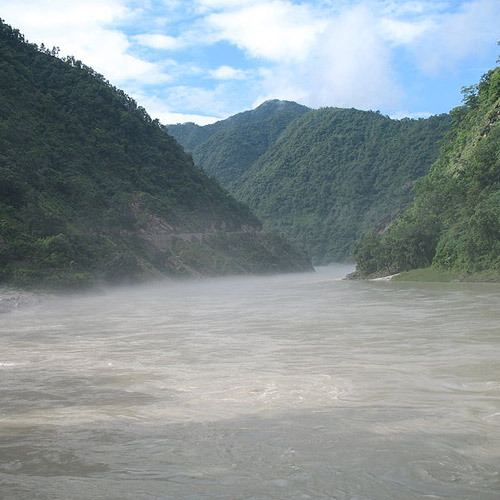 The rivers which offer the best river rafting experiences in Uttarakhand are the Ganga, Alaknanda, Bhagirathi or Yamuna. 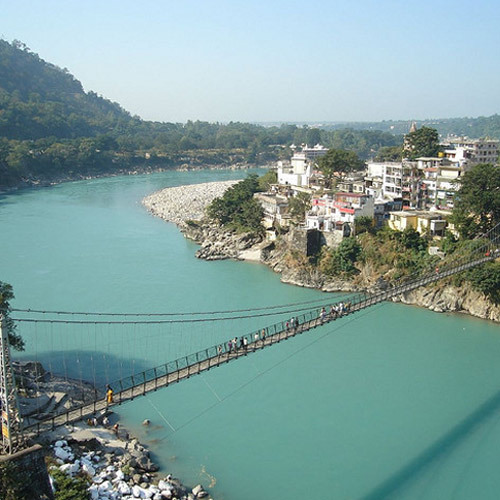 The holy town of Rishikesh is one of the world’s best rafting destinations. There are different stretches of varying length and intensity that you can choose from, all offering you a water rafting experience best suited to your experience, group, and time limitation. The most famous rapids near Rishikesh are Return to Sender, Roller Coaster, Three Blind Mice, Double Trouble, Tee Off and Golf Course, and these range from Grade I to IV. 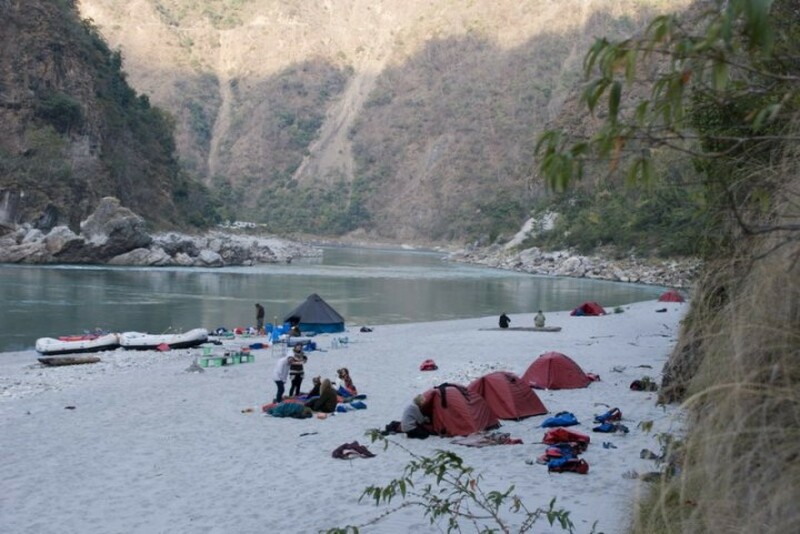 Adventure tourists are spoilt for choice in Rishikesh as there is so much to do. All river rafting packages here offer cliff-jumping and body surfing at the end of the rafting trip, once you get to more peaceful waters. Located in the lap of the Sahyadri mountain range, in Raigad district, Kolad is home to the Kundalika river which is the fastest river of the South and is perfect for river rafting. 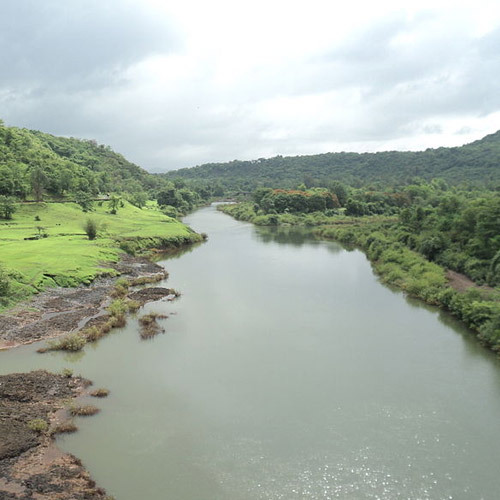 Kolad is conveniently located at a 2.30 hour drive from Mumbai or Pune and offers a stretch of 15-16 kms, with several rapids ranging from Grade II to III. The benefit of river rafting here is that the river is not dependent on the weather. Every morning at about 09:00 hrs, the nearby Bhira dam releases water, and the Kundalika river turns into a seething, churning beast. The adrenaline rush of rafting through thick forests on a powerful river is something that will give you an exhilarating interlude and is a memorable weekend break. There are numerous other beautiful rafting locations in India. 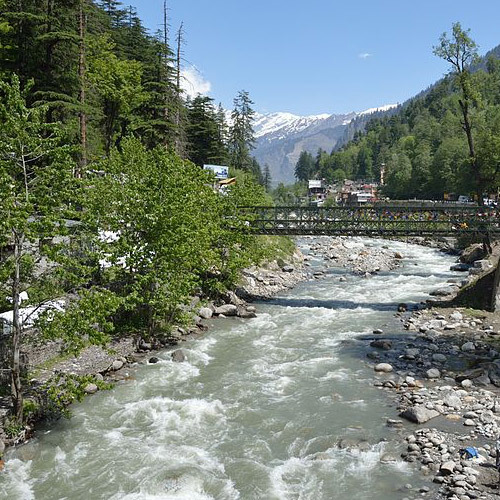 The Teesta River in Sikkim and Darjeeling, Brahmaputra River in Arunachal Pradesh, River Barapole in Coorg, Karnataka and the Beas River in Kullu-Manali are some of the top rated river rafting hotspots in India. Another exciting river rafting experience is the Indus River in Jammu and Kashmir that flows through desert landscape as does the Zanskar river in Ladakh. Rafting on the whirling river offers stunning views as your raft winds its way between stark mountain walls, each a few hundred feet high.